Tami Ashcraft met Richard Sharp around boats and share a love for the sea. 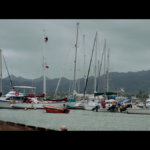 They are asked to deliver a 44ft yacht named Hazana from Tahiti to San Diego. After being on the water for a bit, they sail right into Hurricane Raymond. Huge, threatening swells have been hitting the boat and Richard sends Tami below deck to be safe. A wave slams into the boat and knocks Tami out and she wakes up in a flooded boat. She has been out for twenty-seven hours and the ship is in shambles. Now, she has to figure out where Richard is, her location, how to get to land, and survive. 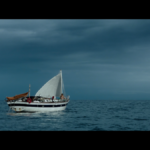 ADRIFT is directed by Baltasar Kormákur and he has the tendency to use settings that are as real as possible to make the actors feel what they are doing what is in the script without as little sound stage time as possible. In this, they filmed on the open ocean and were very much slaves to nature and, of course, weather. Currents, wind, and boats cooperating were factors as they give the audience the best that they could; given the conditions. Honestly, the movie is that much better for it with the characters trying to be optimistic in such a hopeless situation. Shailene Woodley has really come a long way from the DIVERGENT series and has shown that she has a lot of range and can be underestimated by viewers. The video is a 1080p AVC presentation that has a lot of beautiful scenes. 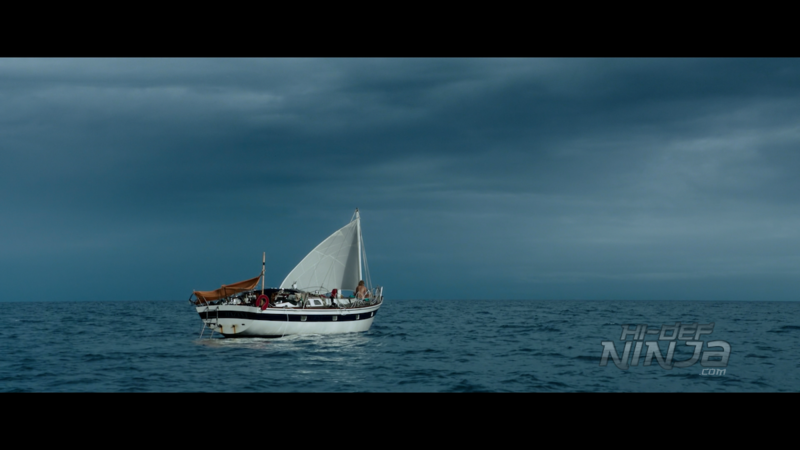 As I mentioned, the majority of the film is on the open water so the sunsets and the horizon look heavenly. Some of the sunrises/sunsets have an unworldly coloring to them. There are some moments where you can tell they are being filmed against a green screen with added backgrounds but no one would film in the eye of a storm. 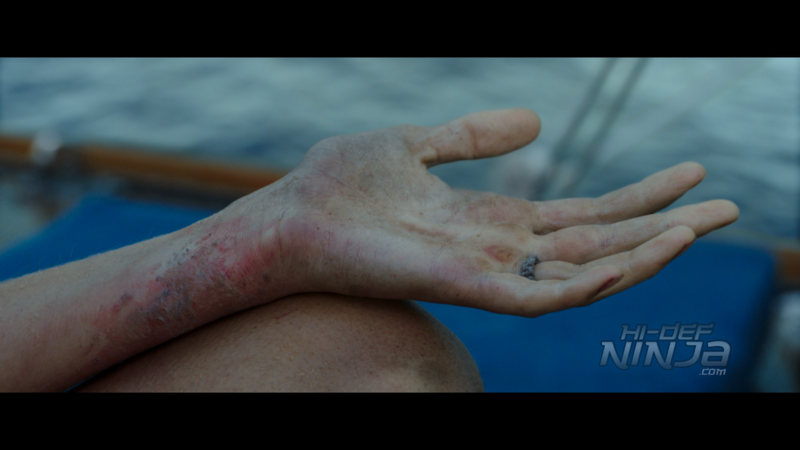 The details on the actors, especially after they are adrift, look disgustingly real. The dry skin from the sunburn / dehydration, the wounds, and just how disheveled everything looks adds a sense of realism to their situation. Coloring is superb with the locations in paradise and the blue of the water. 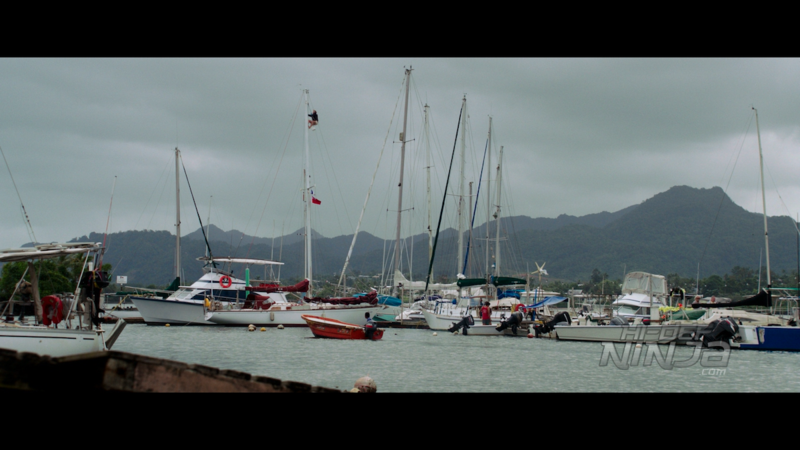 There are some contrasting issues in the stormy scenes but that from the added visuals and the rain. It is only minor but worth mentioning. The audio is a DTS-HD Master Audio 5.1 mix that has a robust sound. There is always plenty of ambient sound not only with the couple being in markets and restaurants but from the sounds of being on the boat. The boat itself has a lot of groaning and creaking from the damage of the storm. When Tami is trying to piece the boat together, you can hear the waves on the water, the debris hitting the ship, and things moving around below deck. As for the storm, the LFEs hit hard with the sounds of waves crashing and thunder overhead. It is a really powerful mix. -Audio Commentary: with Director Baltasar Kormákur and Shailene Woodley. 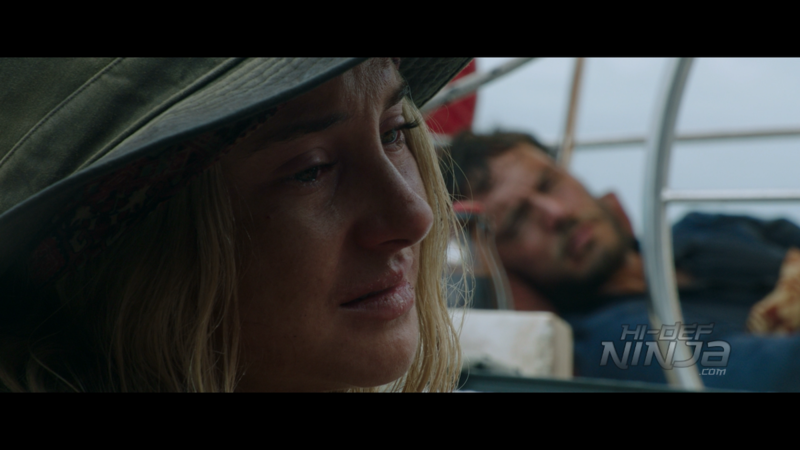 -Survival at Sea: This is a quick look at the movie by the actors and the crew. -Braving the Elements: This looks at how the filming on the open ocean can be fun/challenging and seems like continuation of the first extra. -Journey: This EPK also feels like an add-on to the other two extras. 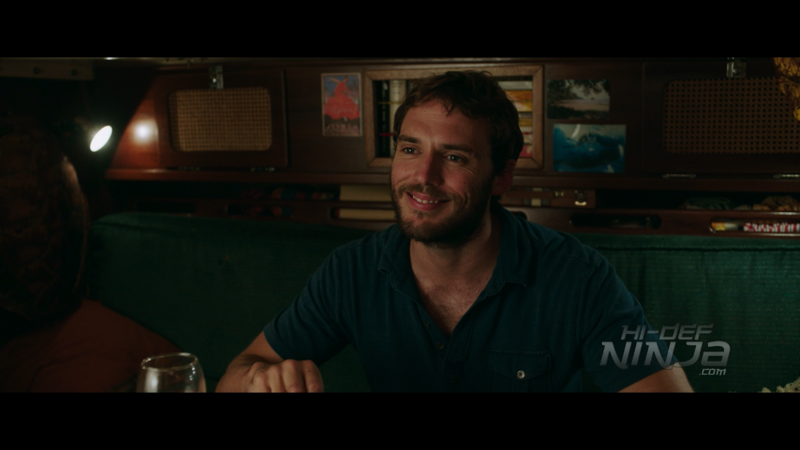 ADRIFT is edited in a way that the plot sort of meets in the middle from the building of their relationship to their experience after the storm. The actors portray their characters perfectly and things play out in a realistic way. The build up to the storm isn’t too fast or dragged out at all and is impressive on-screen. The video is great but the audio will give a nice workout to any home theater. The extras should’ve been combined into one featurette and been longer because everyone involved seemed like they had so much more to say about the process. I definitely recommend picking this up for a good story and a great release.